It’s time for a new biome in Minecraft: Bedrock Edition which will bring a lot of new stuff. Speaking about the jungle, it can be new trees, several thematic mobs and also new weather conditions peculiar to this region. There are other biomes that are most likely to receive a quick update within Minecraft PE 1.8, a few details – Minecon 2018 – Biome Update. 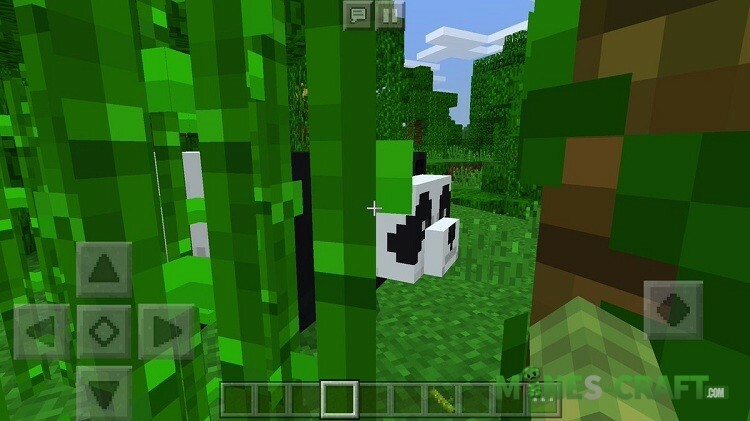 You already knew that this addon adds pandas, lovely fluffy bears living in the jungle. 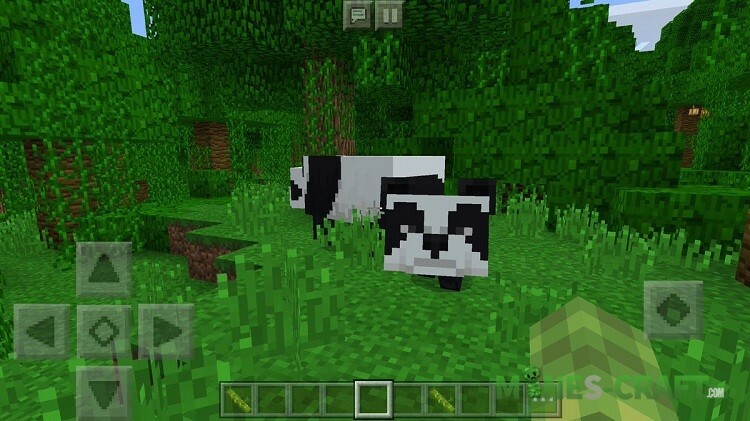 More specifically, the addon replaces the vanilla pig with this new animal, so the spawn area is wide enough. Pandas can meet you almost anywhere, including forests, glades and the jungle itself. Be careful before you are touched. Pandas can seriously injure you if you are hostile to them. Use sugar cane as food and watch then how it loves you.